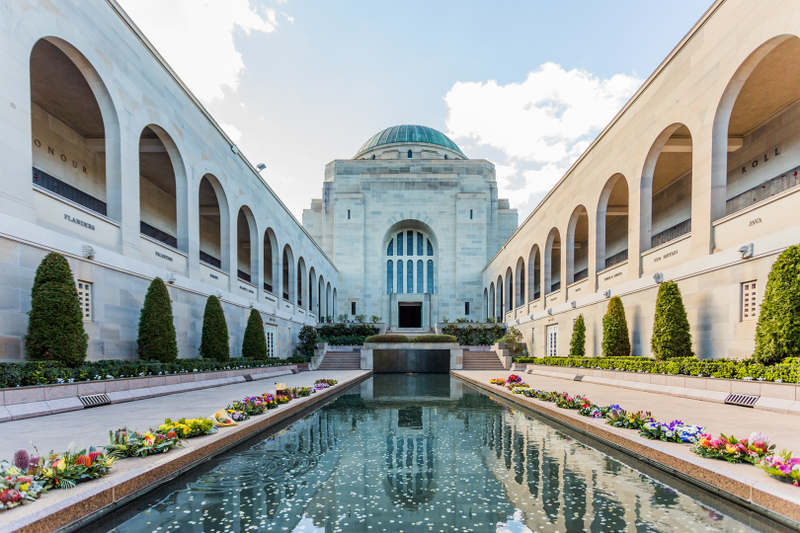 Protests are growing against Australian War Memorial’s plans for a $498 million expansion Photo: Jack Mohr. 83 prominent Australians ranging from author Thomas Keneally to former Department of Defence secretary Paul Barrett, and even the Australian War Memorial’s former director Brendon Kelson have joined their voices to the protest against the AWM’s half-billion-dollar expansion. Plans were announced in November for a $498 million expansion over the next nine years that will double the size of 77-year-old institution’s visitor areas and includes demolishing Anzac Hall. The building is only 17 years old and won the 2005 RAIA National Sir Zelman Cowen Award for the Most Outstanding Work of Public Architecture in Australia, costing $11.8 million to build. The long list of prominent Australians have written an open letter via the Honest History website, saying that the extension “cannot be justified, they show the Memorial is being given preference over other national institutions, and the money could be better spent. “The Memorial Director, Dr Brendan Nelson, touts the Memorial as telling ‘our story’. The Memorial should be revered, but Australia has many stories and Dr Nelson’s excessive veneration of the Anzac story denies the richness of our history,” the letter says. ANU Professor of History Frank Bongiorno was one of the signatories and told Region Media that he thought it was “extraordinary to spend half a billion dollars to create an enormous space that will be largely devoted to displaying more planes and tanks”. Professor Bongiorno said that many of the other national institutions which also have a key role in telling the history of Australia at war are, effectively, on “starvation diets” with regard to their funding. “The National Archives is a good example. It contains all the service and repatriation records of tens of thousands of service personnel. While the government has funded a new repository, the Archives are clearly underfunded in many ways and their service function happens on a shoestring,” he said. It’s a concern shared by another of the signatories, Associate Professor of History at La Trobe University Dr Clare Wright. She spoke at the National Library last week about You Daughters of Freedom, her history of how Australian women were the first in the world to win the full right to vote and established themselves as global leaders on the issue before the First World War. Asked about the rise of ANZAC history, Dr Wright addressed the question of how a significant achievement with global significance for voting rights had been almost obliterated by subsequent events. “Before the sons of empire died on a beach at Gallipoli and rebirthed a nation, we were already the daughters of freedom, and this was the story of us,” she said. They also claim that the planned extensions will “offer Dr Nelson a permanent legacy like that of none of his predecessors”, and run the risk of destroying the Memorial’s character. “We have just seen over $350 million spent by the Commonwealth on the Anzac Centenary and the Sir John Monash Centre in France. Should further money be spent on these extensions rather than on other needy cultural institutions or direct benefits to veterans and their families?”, the letter asks. Do you think that the Australian War Memorial is benefitting at the expense of other institutions? It’s interesting how so many of us have independently arrived at the opinion that this expansion of the War Memorial is intended to serve as a memorial to Brendan Nelson, not our service men and women. I am particularly annoyed at the destuction of a relatively new building just to build the memorial for ‘St Brendan the destroyer’. Any alteration to that view above would be sacrilege and must not be allowed to happen. Nothing could be an improvement on that, certainly nothing in the minds on any architect in Australia, and to contemplate opening any world wide competition is out of the question. That huge building at the back, which I saw for the first time last year, is completely unsympathetic to the original and all the surroundings. If that’s the building that won that 2005 Award, it will show the standard of Australian architecture, the most bland and unimaginative on the planet. Is the AWM a memorial to dead servicemen and women, or a memorial to war, or is to become a memorial to Brendan Nelson? There are much better service-related uses to which the funds could, and should, be put. The point is sure expand but why demolish millions of dollars of taxpayers award winning design to achieve it. Kathi Nelson, what are your thoughts on spending more on the AWM? I know every visitor that sees this loves it. But maybe it is good enough as-is. As an ex-serviceman I’m proud of our national institution and the position it enjoys in Canberra. I’d love to see it expanded to double what they are anticipating because we aren’t going to stop going to warlike areas and capturing trophies anytime soon. There is an absolute smorgasbord of material coming back, and I’ve been sorely disappointed at material like the V2 rocket that was left outside to rust at the annex – this is a vital piece of history that we have not cared for, and once they are gone we can build fake replicas but they won’t be the real thing. Why not bake it into those 2 empty buildings at the lake end of ANZAC parade ? they aren’t being used for anything useful. I have mates who need help and can't get it in a timely manner. They would much rather have access to services than a new gallery at the AWM. The AWM is a world class institution, and it is great that we live in a country that remembers and honours its service people, but a more important part of recognition is properly funding the institutions that support people during and after their service. Not to mention the emergency services who risk life and limb every day. These important people are suffering also. Spend the money on helping them. I quite like the Anzac Hall. The lighting, the atmosphere, the exhibits. It complimented the rest of the AWM nicely and I fear that if it is demolished, the new extensions will lack that military and historic authenticity. There is a petition up and running against the extensions: http://chng.it/SD5Vd7WgRy It has received in four days more than four times the number of supporters the Memorial received in its consultation process about the extensions last year. If WW2 hadn’t happened Thomas Keneally would not have written Schindler’s Ark. He should count his blessings (and wealth) before embarking on crusades like this. …and if it weren’t for the failings of the Catholic Church, Tom Keneally wouldn’t have been able to write Crimes of the Father. So on your logic, it follows that Mr Keneally needs to be in favour of institutionalised church abuse? I wasn’t aware that Keneally was also protesting as a prominent Australian against the Catholic Church. The other cultural institutions have been starved of funds so it doesn't make much sense to give one all the money and the others not much as all draw in tourists and have a role to play in our cultural heritage. We remember them now. Do we need 1/2 billion dollars to remember then more? Money should go to hospitals and the living. The vets I know want money spent on the future not the past. The AWM is already a world class building of remembrance. It is honourable and incredibly reverent. Beware supporting self aggrandisement because that is what this is! Suz Watson Locke great reply. Who are these “ well known prominent Australians” they should have named them, and , who? asked these so called prominent Australians. Susy Pocknee Are you aware about how resources are constrained for veterans mental health welfare. It is a question about the priority you would place on veterans struggling with health issues, or on expanding a building which already serves its purpose, as a monument to sacrifice and remembrance. Susy Pocknee All the names are listed on the link in the article. It's true that the National Library, Archives and other cultural institutions are suffering under constant budget cuts...even though, if they do their jobs right, their collections get larger every year as they collect and conserve Australia's complete history...not just our war service. I respect our returned servicemen...my father served in the Australian army for 29 years, and my grandfathers both served in WW2 and are highly decorated. But there's more to our history than war...we need to conserve it all, which means sharing resources. No amount of money is a 'waste of money' there are over 102,000 dead men's names on the Honour Roll as you enter Australia's war memorial. It is also the largest single tourist attraction in Australia. Skywhale, d__k owl of Belconnen, foreign aid to Indonesia, light rail etc all wastes of money. Not the War Memorial. The proposed expansion is less than $5,000 per dead man's name. The tram installation (Let alone loss incurred perpetual maintenance with drivers who can't stop at a red signal) exceeds $5,000 / what was previously the ONLY non loss making bus route / patron (GTC to City) anyone who vilified the War Memorial should look in a mirror and seriously stare at themselves and ask hard questions. 'no amount of money is a waste of money'. Bizarre approach to spending taxpayers' dollar. 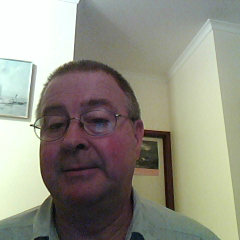 Nathan Burraston my father, who was a POW on the Burma-Thai railway, was contemptuous of armchair warriors like you. My uncle's name on the Roll of Honour doesn't need embellishment with a multi-media extravaganza. The Roll and the Hall of Memory are the essential part of the War Memorial. Leave it be please. Strange what 'prominent Australians' can and cannot justify.....money talks . Prominent Australians by whose definition? As one of the “modern Veterans” who has a direct link to a particular part of the new plans, I appreciate the AWM being able to tell MY STORY - particularly to my children. We can’t tell our own stories - what Director Nelson is doing with this expansion is vitally important in showing people what we did, what we continue to do, and the prices for service we continue to pay. The partners and children of returned service people need better access to programs and treatment for the higher prevalence of mental illness in that cohort. Half a billion would pay for lots more contractors to service that community. I just hope the children of Iraq and Afghan vets wont suicide at the rate the kids of VV did. As Frank Bongiorno said in the piece much of the new space will be to house retired aircraft. The guff about therapeutic milieu is a smoke screen.